FFEI Ltd, the global developer of award-winning digital imaging solutions, today confirmed that a Graphium hybrid UV digital inkjet label press, had been installed at Tailored Label Products (TLP), a Menomonee Falls, Wisconsin-based engineering-focused label manufacturing company providing high-performance labels since 1984. 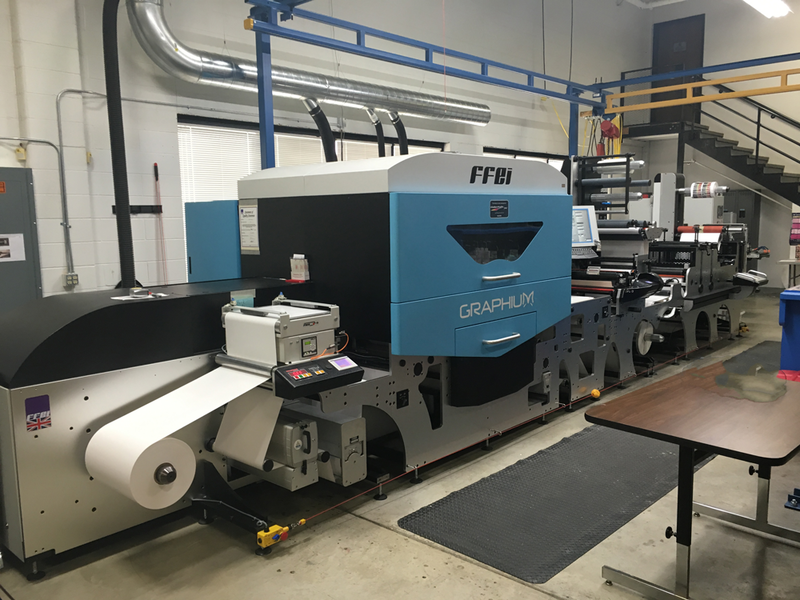 Graphium is the 3rd generation inkjet label press to come out of FFEI’s 10 year’s of Inkjet innovation. Built from market leading technologies and engineering expertise Graphium is the first hybrid UV digital inkjet press designed specifically for labels, packaging and specialty print, and is a key addition to Tailored Label Products’ 60,000 square foot facility. With up to six digital ink channels, the Graphium is a high-speed hybrid UV digital inkjet press that is uniquely positioned to offer ultra-high quality printing designed specifically to meet the challenging demands of the industrial label market. Another recent quote supplied by Tailored Label Products to a new client included a large label program with variable data – unique identifiers printed on tens of thousands of labels. Graphium’s design, coupled with Fujifilm’s UV ink enables print providers to produce ‘fit-for-purpose’ labels, regardless of the application. The versatility the Graphium provides allows printers to optimize production and maximize profit on every job – increasing the profit margin on every label produced.